2/5: What issues do Galapagos penguins face? As an endemic species, the Galapagos penguin populations in Galapagos are crucial for the survival of the species. This also means that any great change in their environment could lead to the entire species being wiped out! Some of the threats facing Galapagos Penguins are anthropogenic such as invasive species and new diseases, but environmental factors such as El Niño events can have a great impact on them. El Niño heavily influences the Galapagos penguin populations as it makes the waters around Galapagos warmer, making their food less abundant. 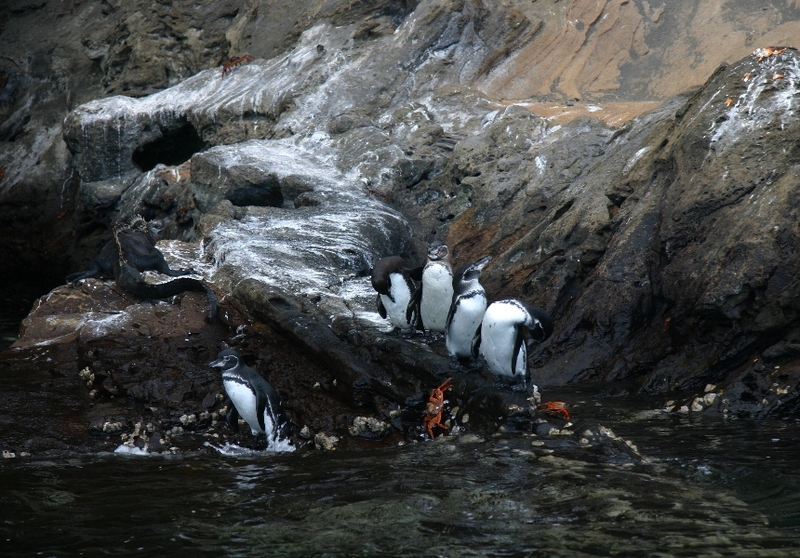 The cold-water schooling fish that the penguins feed upon migrate away from Galapagos during El Niño meaning food becomes scarce. As a result penguins usually do not breed during El Niño as the chances of raising offspring successfully are low and parent penguins could die in the attempt. The El Nino in 1982/83 caused a dramatic decline in the penguin population by around 80%. After a slow recovery, a second bad El Niño in 1997/98 reduced the population again by 65%. Population numbers have slowly been recovering since but numbers are still only half what they were before the 1982 El Niño. Increasing frequency and severity of El Niño weather events due to global climate change is a major threat to the Galapagos penguin, especially when they are at low numbers. Although natural predation (by native species) is uncommon, penguin chicks can be taken by Galapagos Hawks and short-eared owls. Weaker hatchlings are also sometimes predated on by Sally Lightfoot Crabs and Galapagos Banded Snakes. Adults are also under predation from large sharks, fur-seals and sea lions. Their nesting activities are also restricted due to many of the nests they used up to 40 years ago are now either prone to flooding or inhabited by marine iguanas. This means that less pairs can breed now compared to 40 years ago, so the recovery of the species is limited. Human activities on the islands over the last 470 years have inevitably led to invasive species being brought to the islands by colonizers, farmers and pirates. Some of these invasive species include feral pigs, dogs, cats and fire ants, all of which predate on Galapagos penguins. 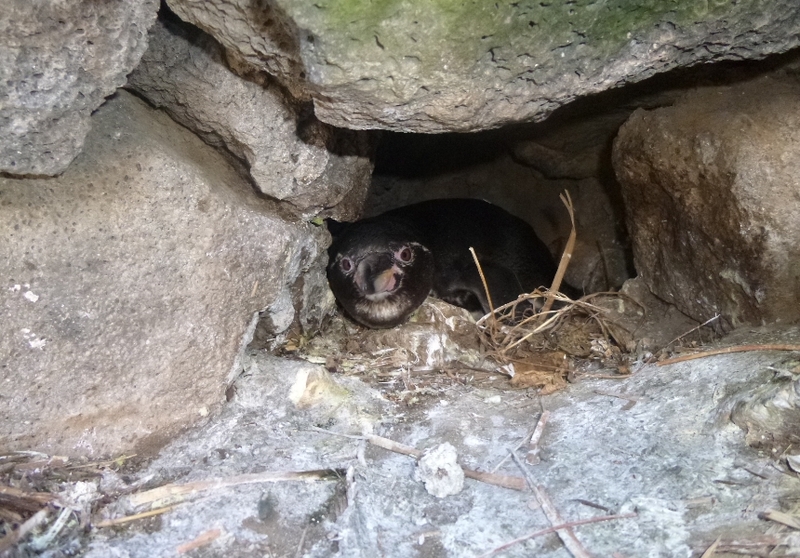 Land predators are a great problem for penguins as their chicks cannot swim, making them easy targets for cats or dogs. Humans have also brought diseases to Galapagos that the native species have no immunity against. A particularly virulent introduced disease is avian Malaria which is feared may eradicate the Galapagos penguin as it has done to endemic bird species in Hawaii. In Hawaii, the introduction of avian malaria has led to so many extinctions hat it now has the highest number of extinct birds in the world, with ten extinctions in the last 35 years. 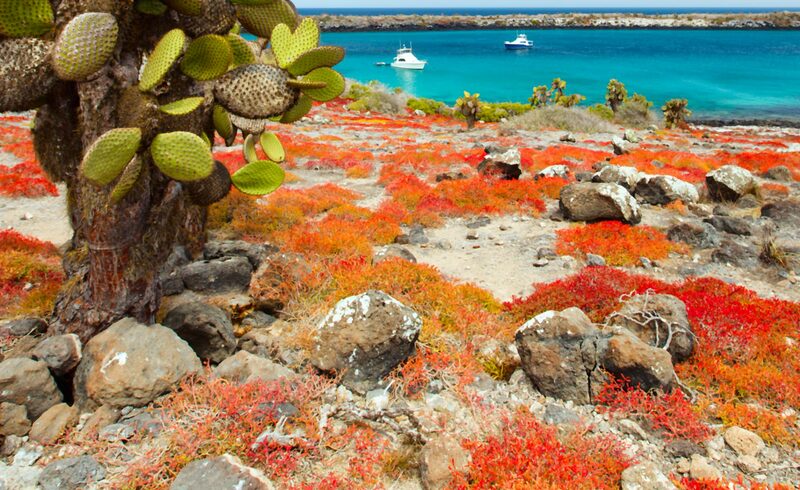 The same effect is feared to occur in Galapagos as the Galapagos, like Hawaii, is an isolated group of islands, so the introduction of a new disease can be fatal for a species that have no immunity towards it. Human traffic on the islands, and especially fishing on the islands has also led to penguin fatalities. Bycatch has become a global issue for marine species as bad fishing techniques from all around the world have led to millions of animals dying after having been tangled up in nets. As penguins are birds and need air to survive, the likelihood of them dying after having been caught in a net is extremely high. These threats are exacerbated by an expanding human population and increased tourism to the Islands. The extreme fluctuation in penguin population numbers highlights the fragility of the penguins whose survival is intimately linked to their environment.